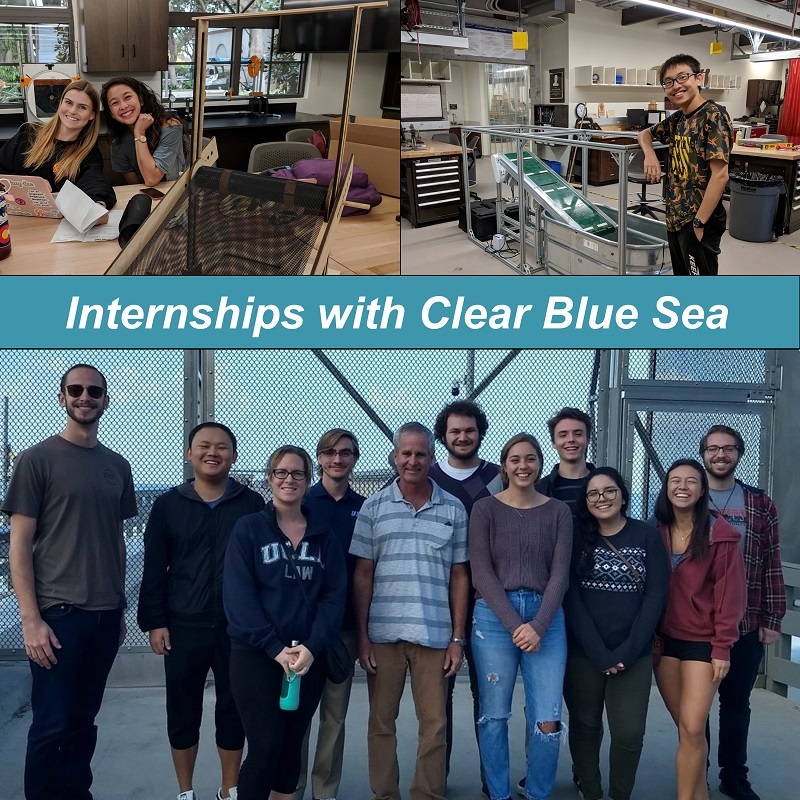 We offer internships in marine sciences, engineering, policy, business operations, project management, marketing, social media, and website development. 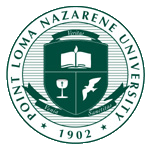 Currently have a broad diversity of interns across all San Diego campuses, including USD, UCSD, SDSU, PLNU, local high schools and even some remote students. We jointly develop internship project plans with students to ensure their work reflects their passions and capabilities. CBSea meets weekly with interns for optimal team collaboration. 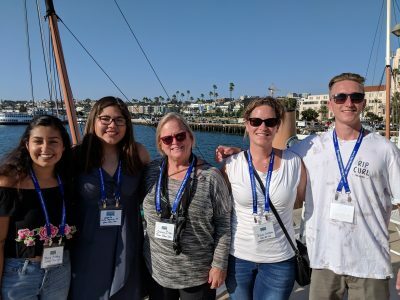 We are applying their research, analysis, engineering, prototyping, and media development to continue our progress in increasing awareness of the ocean plastic crisis and building our first fully-functional FRED Prototype for testing in San Diego waters. 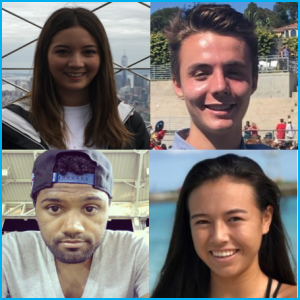 Our interns come from all major San Diego campuses and as far away as Australia! The goal of our project is to design, build, test, and demonstrate a 4-foot long prototype of the FRED architecture with a focus on the debris collection subsystem for harvesting floating plastics. We completed our FRED Prototype design in Fall of 2018 and will be building the prototype in Spring of 2019. Our small FRED model will satisfy and validate FRED system requirements provided by Clear Blue Sea. 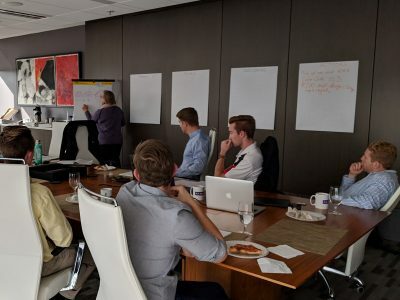 Our development efforts and lessons learned will be leveraged by Clear Blue Sea to implement a larger-scale FRED design and build program here in San Diego. Clear Blue Sea meets weekly with our team to review progress, brainstorm issue resolution, and facilitate creative design and development. Our project goal is to research, design, and prototype a Navigation and Data Communication subsystem for integration into FRED’s overall architecture. This subsystem provides functionality for semi-autonomous navigation, remote control of FRED, operational performance status reporting, and environmental monitoring. Our team works collaboratively with the FRED’s Angels Team and Clear Blue Sea to identify optimal design strategies and development methodologies. In our build phase, our Navigation and Data Communications subsystem prototype will be integrated into the FRED Angel’s team small-scale model to produce an enhanced FRED prototype for demonstration. The scope of this engineering project is to develop a Debris Collection Subsystem that will act as a proof of concept of the full-size subsystem that will be a critical component of the FRED Architecture. In the Fall of 2018, The Salty Crew Team researched, engineered, and designed the architecture for this FRED Subsystem Prototype. 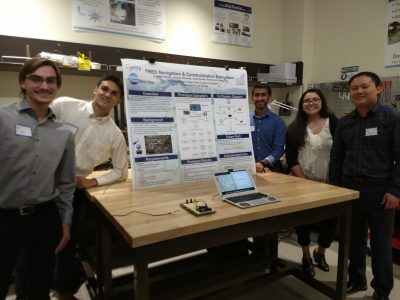 In the Spring of 2019, Salty Crew will fabricate, assemble, integrate and test their prototype for final demonstration in a marine environment. This demonstration will include operational use of the subsystem’s ability to collect, capture, and store marine floating plastic. 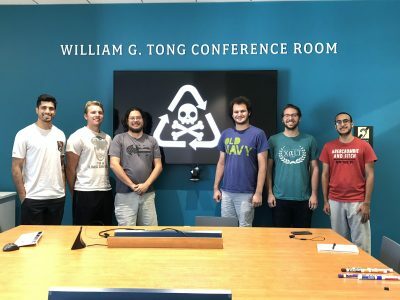 The Plastic Pirates Team is designing and building a table-top size marine robot that will pick up floating plastic debris in a marine environment. The team calls their prototype robot FRED Jr., which will be remote-controlled, solar-powered, and travel at 2 knots. In the Fall of 2018, the team developed alternative design strategies for FRED model components including the hull, conveying capability, power system, storage component, and electronics. In the Spring of 2019, they will procure commercial components and fabricate custom components to build and test FRED Jr. 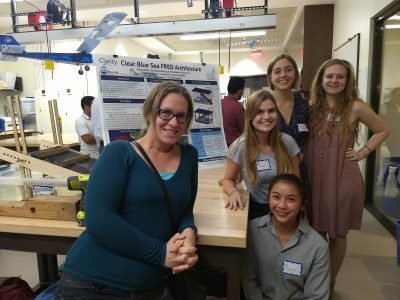 The scope of this project was to research, engineer, design, and develop a functional prototype of FRED’s Solar Power Subsystem based on system requirements provided by Clear Blue Sea. Over a short period of 10 weeks, the team completed a systems engineering life cycle methodology that included multiple design reviews and operational testing. 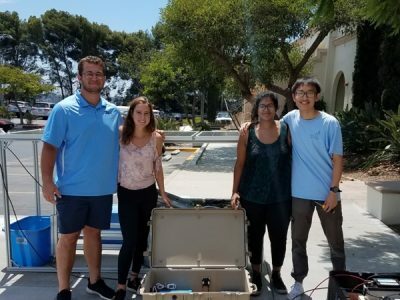 At the conclusion of the internship project, the FRED Solar Power Subsystem Prototype was demonstrated to the engineering department at USD and then written up as a project success story for the USD website.